"I joined EVBC in November and I’m looking forward to getting some good information and tips from fellow members, and hopefully meeting some members in the future. 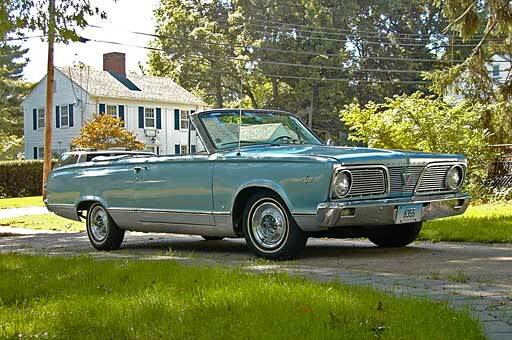 I got my 66 Valiant Signet in 1978, when I turned 16. I am the second owner; It belonged to family friends who had intended to give it to their daughter, but she wanted something “cooler.” I think she ended up with a Ford Fairmont station wagon! The car came to me with 22,000 miles on it. It’s got about 85,000 miles on it now. I have never been a very mechanical person, so most work has been done by others over the years. It’s got the original engine and transmission, although the engine has been significantly worked on, having suffered a cracked piston a few years back. The car was my daily driver from 1978 to 1984, when I bought one of the new Mustang convertibles that had just come out. The Valiant has outlasted that and many other dalliances. It’s a great looking, well-engineered car that (when it runs well) is a pleasure to drive. It always generates smiles and comments, too. The car has bucket seats, column-mounted Torqueflite automatic, 273 c.i. V-8 with 2bbl. Carb, emergency flashers, AM radio, power steering, sport wheel covers and a power top. 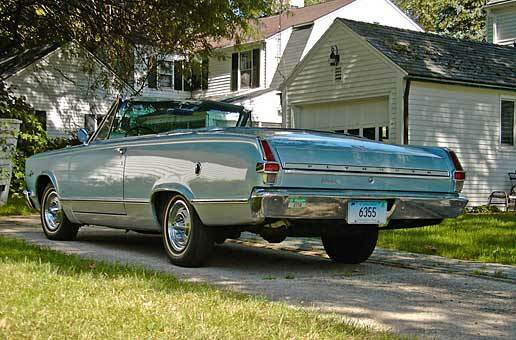 It came with the original dealer invoice, showing that it was purchased for $2,928.42 in May of 1966. It’s no museum piece; I have had it repainted (original shade), partially reupholstered and replaced the top (twice). I just like driving it. When I got the car, I cut speakers into the door panels, which of course I regret now. I am thinking of replacing them if I can find a set. I’ll hide speakers elsewhere." As of 2007? this fine convertible was sold by Paul to another club member, Gary Kuklo, who will treat this car well.